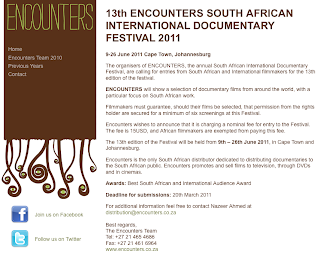 The organisers of Encounters are calling for entries from South African and International filmmakers for the Festival. Due to the extraordinary number of entries Encounters has decided to charge a nominal submission fee of USD15. African filmmakers are exempt. Visit the Encounters web site for submission details.